4D Peek a Boo of Pensacola offers the finest 3D/4D prenatal ultrasound experience available. Combining cutting-edge technology with a spa & theater environment, we bring unbelievable images of your unborn baby to life! We can tell if you are having a little boy or a little girl starting at 15 Weeks!!! 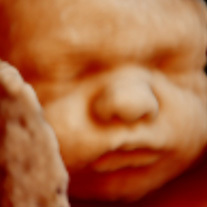 Now you can see your baby up close and personal with a 3D ultrasound & 4D ultrasound from 4D Peek a Boo of Pensacola! There is no need to wait until your little ball of joy is born. Come in and experience an event that you will never forget! We believe there is no greater bliss than the creation of a new life. Here at 4D Peek a Boo of Pensacola we enjoy bringing families together to witness the MIRACLE of LIFE. From the moment you walk into our studio, you will notice a distinct difference from our competitors facilities. We believe in comfort, style, and a modern spa feeling..
4D Peek a Boo of Pensacola invites you, your family and friends to experience your baby's yawns, hiccups, and smiles with our 4D Ultrasound imaging. We can capture these precious moments on DVD and in 3D photographs so that you can treasure them forever and share them with family and friends. Did you know that we are able to tell gender as early as 15 weeks! Have your family and friends view your Ultrasound from the comfort of home.